Bret C. Cohen identifies and implements practical business solutions to operational, strategic, and legal challenges. With over 20 years of experience, he utilizes all aspects of his technical and corporate background to help clients maximize the potential of their employees, customers, and organizations. Mr. Cohen’s expertise encompasses business strategy and operations, environmental matters, mass torts, mergers and acquisitions, and product liability. He has worked on complex litigation and on hundreds of mergers and acquisitions, with many M&A deals involving assets and liabilities of more than $1 billion. 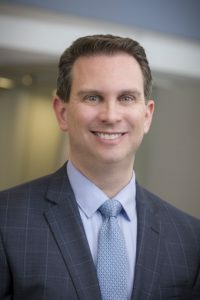 His clients and collaborators include top law firms and companies—public, private, private equity, hedge funds—in an array of manufacturing and service industries. Before joining Nathan, Mr. Cohen served as Vice President and General Counsel at Gnarus Advisors LLC, which became a Nathan company in 2017. At Gnarus, he advised clients on business strategy and collaborated with the Gnarus management team to create and implement strategic initiatives, improve operations, manage risk, and rebrand, restructure, acquire, and divest businesses. He has also been president of an industrial construction company in the energy industry, president of an alternative energy company, and has advised technology and consumer-oriented companies. Before joining Gnarus, Mr. Cohen worked as an attorney for two leading U.S. law firms, Willkie Farr & Gallagher LLP and Beveridge & Diamond PC. Before law school, he worked as a geologist for environmental consulting firms Apex Environmental Inc. and Espey, Huston & Associates Inc.